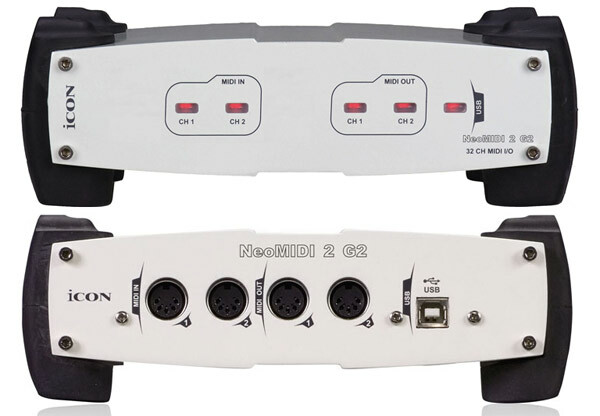 Icon NeoMIDI2 G2 : is a 2 in / 2 out MIDI interface with 32x32 MIDI channels. A MultiPlat driver is available for 32-bit and 64 bit Windows platforms. Plug & Play for Mac and some Windows platforms. The unit has a high speed USB 2.0 connection and is USB powered with no external power supply needed. Use the ReoMIDI for perfect MIDI timing with midi in and midi out activity indicators.